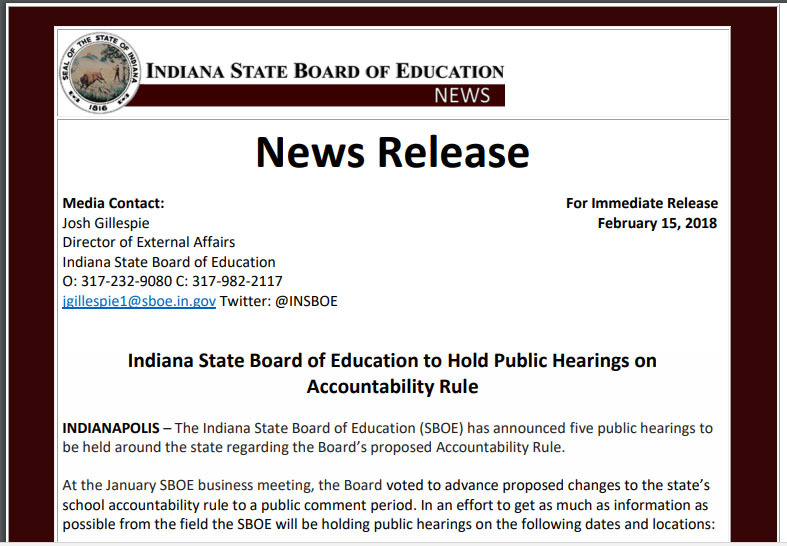 The Michiana public can offer input to the Indiana State Board of Education tonight at Ivy Tech Community College from 4:00 P.M.-7:00 P.M.
in the Ivy Café, Room 109 on the campus of Ivy Tech Community College. The address is 220 Dean Johnson Blvd., South Bend IN 46601. Proposed changes can be found in this document.